Asbestos is probably one of the most studied substances ever. Asbestos is synonymous with argument and controversy: it is magic but feared, essential but dreaded, a strategic natural raw material but a source of concern and hazard; it is banned but still used safely, and so the list goes on. Asbestos-related diseases are certainly of significant concern in terms of occupational and public health. Asbestos World Health Organisation officials estimate that 125,000,000 people worldwide are exposed annually to asbestos in occupational settings, and >100,000 people die annually of diseases associated with asbestos exposure. Use of asbestos has been banned in most developed countries, but chrysotile asbestos is still used in many developing countries. This book presents the state of the art in the vast multidisciplinary research field of asbestos and of mineral fibres in general. The protagonists of the book are the mineral fibres with their immense complexity and poorly understood biochemical interactions. The approach of the chemist/mineralogist/crystallographer puts the fibre in focus whereas the approach of the biochemist/toxicologist/doctor assumes the perspective of the organism interacting with the fibre. 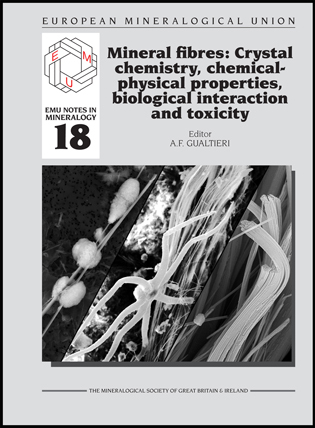 The perspectives of both the ‘invader’ and the ‘invaded’ must be considered together to establish a conclusive model to explain the toxicity of mineral fibres. In fact, this sharing of different perspectives and working in a multidisciplinary way is the key to understanding the mechanism of asbestos-induced carcinogenesis.